Have you ever heard wheatgrass? This is one of the most effective natural remedies that can provide one with a healthy body and a glowing looking skin. Most of the doctors are prescribing wheatgrass to their patients. Wheatgrass is also full of vitamins, minerals and amino acids. It’s clear to see that wheatgrass juicers should be in every kitchen! 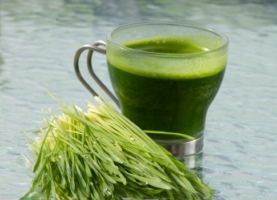 Wheatgrass is most often consumed as a juice. You can find powdered wheatgrass supplements but to derive the most health benefits it suggested that you consume wheatgrass juice. In general, for normal health maintenance, drinking one to two ounces of wheatgrass juice every day or every other day is common. If you have never consumed wheatgrass juice before, one ounce is a good place to start. The lists of benefits associated with wheatgrass are huge, it tends to make one question the validity, but the truth is that wheatgrass is a pretty amazing food and its core properties are incredibly beneficial to both humans and animal. • Wheatgrass juice is an ultimate energizing health drink. • Wheatgrass juice is highly beneficial and potent aid for weight loss. • Wheatgrass juice is a natural source of antioxidants which helps repair damaged cells, rejuvenate aging cells, tighten loose and sagging skin. • Wheatgrass juice acts as master cleanser for liver. • Its antibacterial property checks the growth of bad bacteria. • The Chlorophyll in wheatgrass is beneficial in curing blood sugar disorders. • Wheatgrass juice can remove heavy metals and other toxic (mercury, cadmium, nicotine) from the body. People enjoying the miracle health benefits of juicing are advised to include wheatgrass among the ingredients they put in their juicing machines.